I was taking a look at my pizza review map, and starting to plot my strategy of hitting most towns in Lackawanna county when I noticed that I have reviewed a ton of pizzerias in Scranton, but for some reason I haven't gotten to nearby Moosic yet. 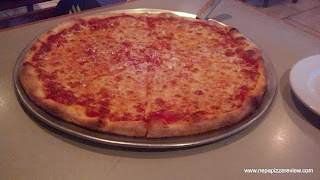 As a matter of fact, I couldn't really think of a place in Moosic to go to, and no readers had recommended any pizzerias in town that I can recall so I enlisted the services of my friend in the area who knows the pizza scene quite well. We teamed up, and he suggested Grande Family Restaurant on Birney Avenue. He actually wasn't familiar with the pizza, but he heard that they recently remodeled the restaurant, so I figured we should go check it out! We headed down Birney Avenue looking for the place, and it was pretty easy to find as it is gigantic, and looks like a brand new building from the outside. The parking lot was jammed, and the place was packed on a normal weeknight, so this was a good sign. We walked in the door to be greeted by a friendly hostess and the sights of a brand new interior complete with full bar and multiple dining rooms. The place was immaculate with fresh paint, new tile, and brand new tables and chairs everywhere we looked. Grande's menu offered something that I liked, which is "PIZZA" printed in the top left hand corner of the menu, and they presumably kept it simple by putting their most popular item first - the large round new York style. A lot of places' menu's don't make it clear what their #1 selling pizza is when they print their menus so I have to ask what the most popular pizza is. I shouldn't have to, and restaurants should feature their most popular pizza. Now, I understand that some restaurants believe that ALL of their types of pizza are the best, and you should because it's your pizza, but in my opinion there is always one clearly better or more popular pizza. In this case, Grande told me that the 16" large for $12 was the most popular pizza, and it was evident in my observance of several other tables feasting on just that! Ok, so this review took a bit of a left turn there - sorry! Let's fast forward to the part where we order our large pizza and the waitress brings it to our table in timely fashion, shall we?! The pizza was piping hot, not even one minute removed from the oven, and looked amazing with a golden brown crust with some slight charring. I carefully placed a steaming slice on my plate and prepared to take the heat. My first bite netted a pleasant crunch followed by the taste of a high quality, slightly salty cheese. The cheese really reminded me of one of my favorites - Basilico's in Dickson City. The flavor of the cheese then gave way to a sauce which was well seasoned, yet nicely balanced. 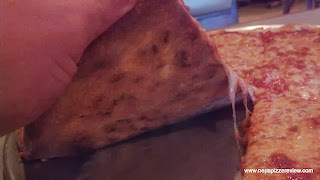 There were some more aggressive flavors from the oregano, but it worked nicely with the sweetness of the tomatoes and the saltiness of the cheese. The crust was also quite good as it was clearly stretched by an expert pizza maker and cooked to absolute perfection. We did note that the dough was a little brittle - not really tough, but it didn't have the consistency of really fresh dough that I like. (This is being really picky, I'm not saying that Grande didn't use fresh dough - I'm saying the dough consistency was that of a dough that rose past its peak and then fell). I could be totally wrong, maybe that is just how the crust is supposed to be, but this is just my best guess. In any event, we both enjoyed the crust and the pizza in its entirety. 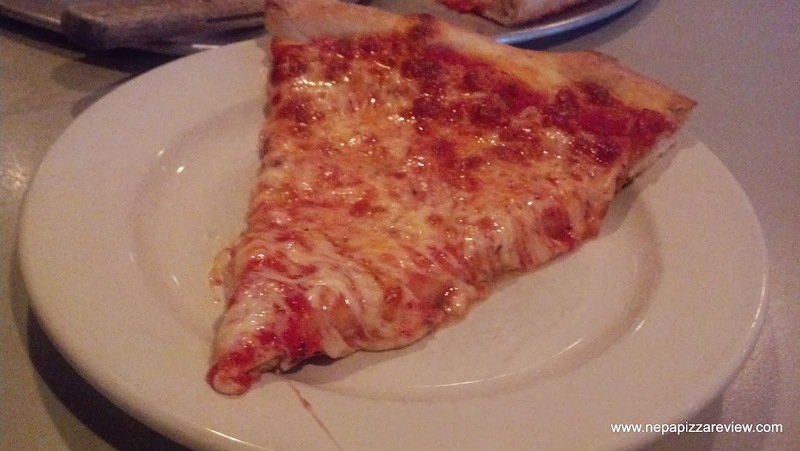 If you enjoy a classic New York Style pizza, and can appreciate some moderately complex flavors, premium quality ingredients, and a clean comfortable atmosphere then Grande Family Restaurant is for you. The NEPA Pizza Review gives Grande its stamp of approval.